Parkay Quarts is not a typo. 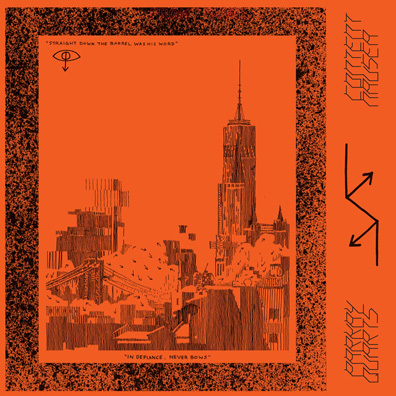 It is, in fact, the alter-ego of the increasingly prolific New York punks Parquet Courts—albeit this time without the full compliment of band mates, retaining only chief songwriters/vocalists Andrew Savage and Austin Brown. The last time they released a record under this moniker—2013's Tally All The Things That You Broke—they tweaked the sound established on debut Light Up Gold, walking sonic paths that showed there was more to them than breakneck explosions of punk. And, in turn, these experiments led to the thrilling refinement of Sunbathing Animal—which has proven itself to be one of 2014's finest LPs. Recorded on four-track, then mixed and mastered in a breathtaking two weeks, Content Nausea isn't a huge change of pace for the band. Tracks such as "Everyday It Starts," the titular "Content Nausea," and the spoken word "The Map" rattle with the same angular guitars and sharp, metronomic drumming you'll be familiar with if you've been paying attention. Savage and Brown are continuing their exploration of modern dread; anxiety as fuel for life's inherent mundanity.